As France comes to terms with the horrific fire at the great medieval cathedral, a sequence of music created for, performed in and influenced by the magnificence of Notre-Dame. A sequence of music written for, performed in, or connected with Notre-Dame Cathedral, as well as French music for reflection and sounds from the streets of Paris as the city comes to terms with the shocking fire that engulfed the medieval masterpiece. We start with the organ - an improvisation on La Marseillaise by one of the most prominent organists at Notre-Dame, Pierre Cochereau. The sound of the organ continues in the Gloria from David Briggs' Messe pour Notre-Dame. Using as its basis some of Cochereau's improvisations, the piece was written for the cathedral and its magnificent Cavaillé-Coll instrument. Popular until the 1920s, but best known for its Intermezzo, we next hear Franz Schmidt's opera Notre-Dame, loosely based on Victor Hugo's Hunchback. Louis Vierne was one of the great organist-composers at Notre-Dame. During his time there, the organ was in such a state that he toured the US to raise money to pay for its restoration. Having worked at the cathedral for 37 years, he died as he wished, at the organ console after giving his 1750th organ recital. Maurice Durufle, Vierne's assistant at Notre-Dame was by the side of his friend and mentor as he died. Ubi Caritas, one of his Four Motets, is an anthem for Maundy Thursday. Notre-Dame has been an important part of musical life across Europe during the centuries. The Notre-Dame school of polyphony was made up of a group of composers working in and around the cathedral in the late 12th and early 13th centuries and one of those was Perotin. 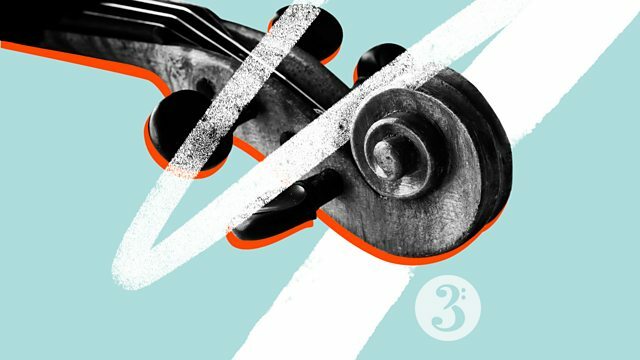 We bring the mixtape to a close with a British composer: Colin Matthews' arrangement of a French classic. Debussy's La fille aux cheveux de lin is mixed with the sounds of Parisians singing hymns in prayer as they watched Notre-Dame burn late into the night. Performer: Jeremy Filsell. Music Arranger: Pierre Cochereau. Performer: David Briggs. Choir: Choir of Trinity College, Cambridge. Conductor: Stephen Layton. Orchestra: Netherlands Philhamonic Orchestra. Conductor: Yakov Kreizberg. Choir: Choir of Trinity College, Cambridge. Director: Richard Marlow. Glorious Trinity: The Choir of Trinity College, Cambridge/Marlow. Orchestrator: Colin Matthews. Orchestra: Hallé. Conductor: Sir Mark Elder.